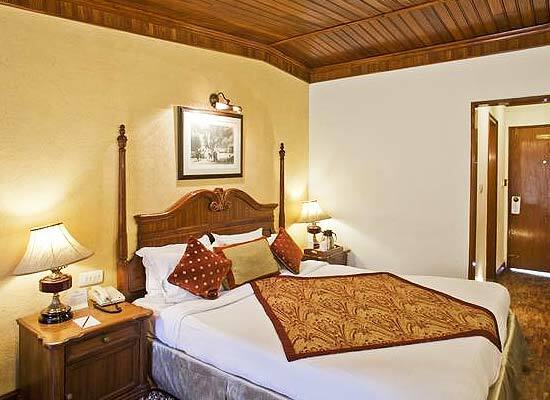 "Located at an altitude of 2000m, facing the gleaming Naini Lake, Naini Retreat is a luxury accommodation in Nainital. Overlooking the breathtaking beauty of the hills, clouds touching the hill tops, and water creating ripples on the Naina Lake, the hotel soothes your senses. Formerly the residence of the Maharaja of Pilibhit, the property has been refurbished with all modern-day comforts. Enjoy the plush comforts of your rooms, dine in elegant style, explore the surroundings or indulge in the exciting activities, the heritage hotel creates an unrivalled stay. The Naini Retreat was once the residence of the Maharaja of Pilibhit (Prasad Family). The grandeur of palace, scenic location and the experience of a relaxed stay has not been lost in time. The recent renovation and the addition of contemporary amenities. Recently, the Leisure Hotels Ltd have added the property it to its portfolio and now maintains its charm offering a pleasant stay for its guests. Accommodation at Naini Retreat Hotel combines the charm of the old world along with redefined modern hospitality. The recently refurbished property has royally furnished rooms and designer suites. Indulge in a breathtaking vacation. The pleasant ambience, the gorgeous selection of furnishings and the personalized services are a treat for guests. Furnished with contemporary decor, yet maintaining its elegance, Superior Rooms offer a relaxed stay. Wooden flooring, large windows, spacious layout and standard amenities provide a comfortable stay. Like its name, the Garden Rooms in Naini Retreat overlook the lush sprawling greenery of the gardens. The private sit-out with garden chairs is therapeutic. The rooms have a range of modern comforts. Comfortable, relaxing and elegant, the Duplex Rooms are attic suites in the property. They are perfect for families with small kids, as the rooms come with an attic floor with two extra beds. The rooms open up to refreshing views of hills, the lake and the lush garden. Naini Retreat Suites are lavish lodgings in the property. They come with a separate bedroom and a living room. Bedrooms have a king-size bed while the living area has spacious comfortable sofa and entertainment facilities. Like its name, The Lake-front rooms in Naini Retreat offer exclusive accommodation with modern luxuries. The private sit-outs overlook the Naini Lake and the clouds touching the hill tops. The interiors are lavishly decorated missing out on no luxury. 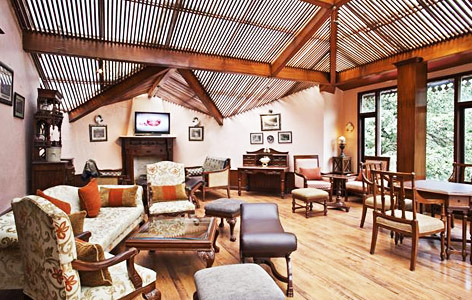 Maharaja Wing was originally the royal residence at the Naini Retreat. Secluded from the main wing of the hotel, it offers guests an uplifted maharaja like experience. The old-world charm has been carefully retained alongside the addition of luxuries of the modern-day world. 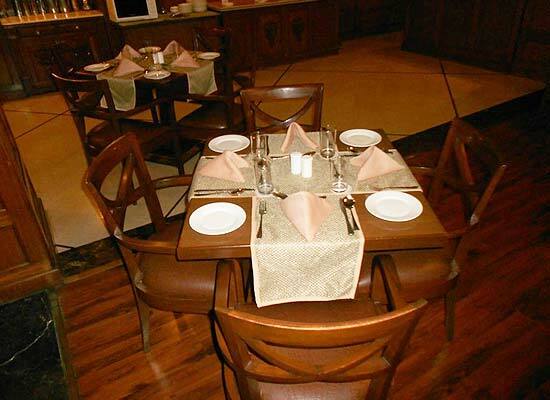 Dining at the Naini Retreat is an exceptional experience like all its other aspect. Savor a treasure trove of gourmet delights. Dine at the picturesque outdoor setting overlooking the Naini Valley or at the multi-cuisine restaurant. Guests can choose from a sumptuous variety of Indian, Mughlai, Chinese and Continental cuisines. Also the specialties of Kumaon region is a favorite feature on the menu. The multi-cuisine restaurant serves multi-cuisine specialties including Italian, Chinese, Continental and Indian. 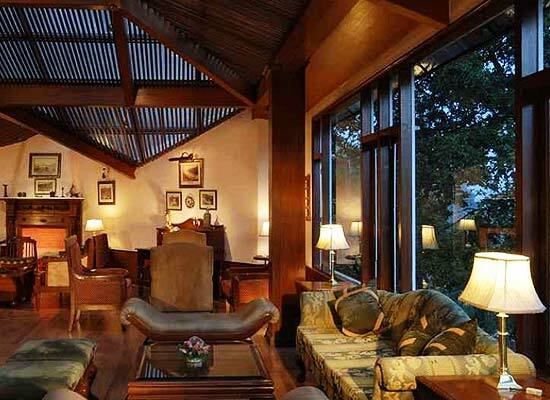 Among the best hotel bars in Nainital, savor the choicest beverages of high quality as you unwind. The perfect venue for guests looking forward to grab a quick bite or laze around for an outdoor brunch or dinner. Nainital situated in the Kumaon hills of the outer Himalayas is one of the most visited spots in Uttaranchal. The place with its associations of hills, lakes, colonial buildings, and coniferous forests and wild life sanctuaries attracts tourists from all over the world. You can make Nainital as the base and travel further in Ranikhet, Almora and Kasauni.